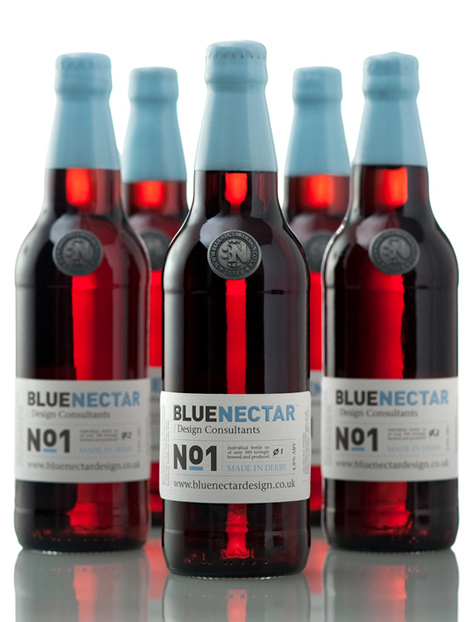 Blue Nectar Design, a design consultancy working primarily in the alcoholic drinks arena, created this wonderful ale and its packaging to advertise their company. The dipped bottle tops sold me! “Blue Nectar’s No. 1 is a limited edition ale designed by ourselves and brewed by one of our local brewery clients in the city of Derby, UK. The purpose of the ale was to produce a product that captures the essence of everything we do, creating compelling brands and putting them into beautiful packaging."